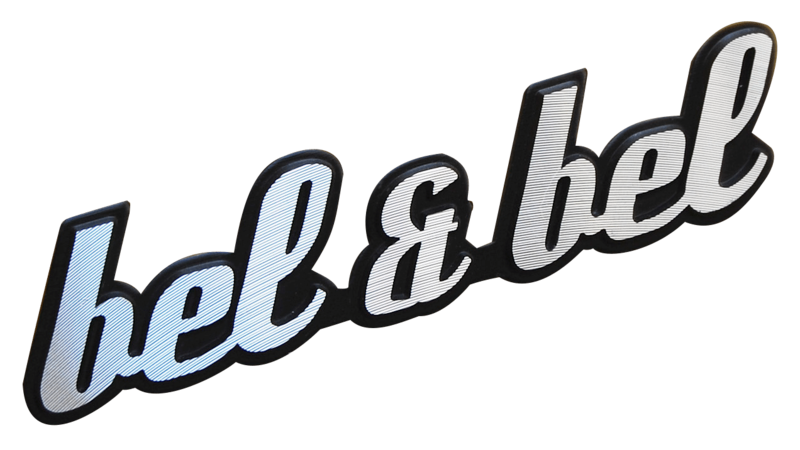 Bel & Bel is a studio-workshop founded in 2005 by us, Carles Bel and Jesus Bel. We both graduated in Fine Arts from the University of Barcelona and soon realized that we were united by more than just our last names. We were no longer able to separate this strange coincidence from our common project, so we decided to incorporate it as our trademark. Our workshop/studio/showroom is located in the outskirts of Barcelona, inside an old farmhouse of the XVII century. This space, which has been profoundly renovated, has become a space of creativity and polyvalence, where we develop our creations. Since the opening of our space, we have tried to make it a meeting place in which we’ve invited other artists such as filmmakers, musicians, designers, and other creators with whom we’ve explored ways of collaborating on different projects. In 2015, our global vision, and the increasing interest that our work had gained, we decided to invite two good friends: Sebastian Perez and Roger Amat, who have helped us turn Bel & Bel from a partnership to a team with much higher expectations and larger production capabilities. Our initial decision to work with waste materials was born from the ecologic mindset behind recycling. Nowadays we are surrounded by objects that are prematurely unused. People lose interest and let go of their belongings even before they’ve reached the end of their usable life unless planned obsolescence hasn’t done it before for them. We also believe that some of the design lines of the past have the same or more value than the current ones, and can always be given a new use in a more artistic and durable new life. We believe in making solid and unique designs that endure over time, as a contraposition to the current models of mass production. We support responsible production. With our creations, we also try to elevate the designs of the past that we admire so much, like the legendary scooter of Corradino D’Ascanio or our beloved SEAT 600, which were in a way built to last a lifetime. In a way, we can say that Bel&Bel creates using creative recycling or upcycling, processes in which the concept of the three R’s ( Reduce, Reuse, Recycle) are present, but with a further implementation of modern technology and renewable energies. At Bel&Bel we are artists, creatives and contemporary. We observe, live and adapt the art to the technology that surrounds us.